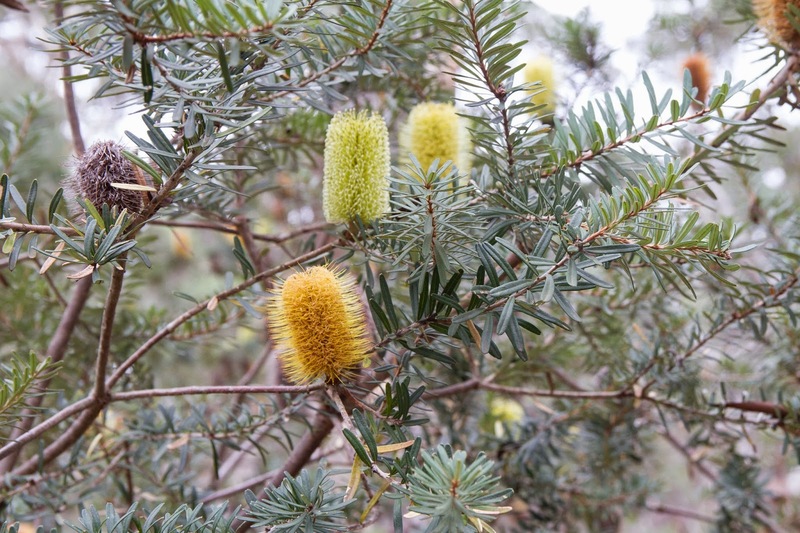 The Eurobodalla is a wet lush strip of coastal forest jammed between the coast and the mountains. 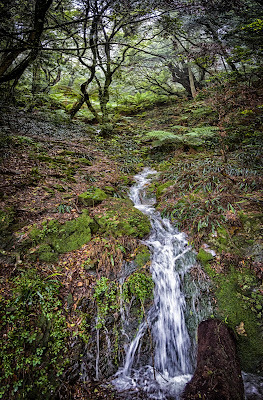 Rivers here are short and run fast after rain. 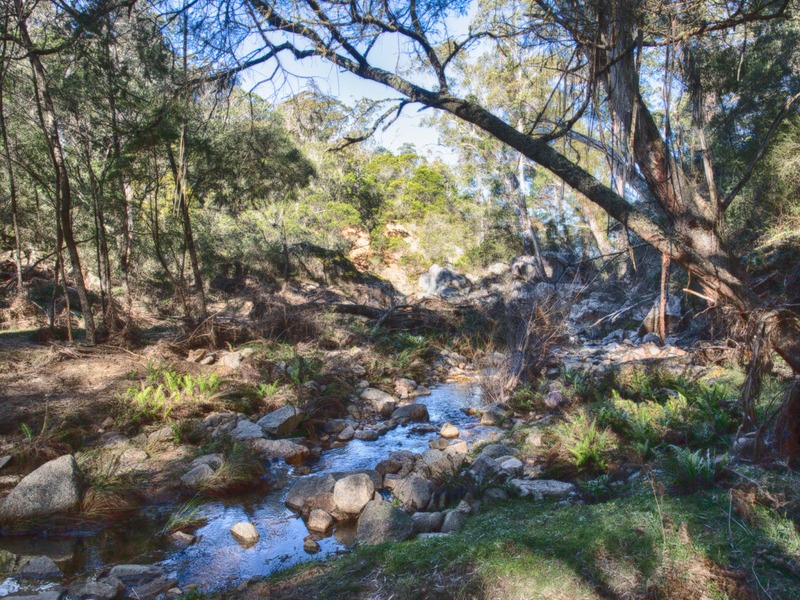 Few rivers extend far inland - one exception is the rivers that have carved the Araluen Valley and which start at Majors Creek. 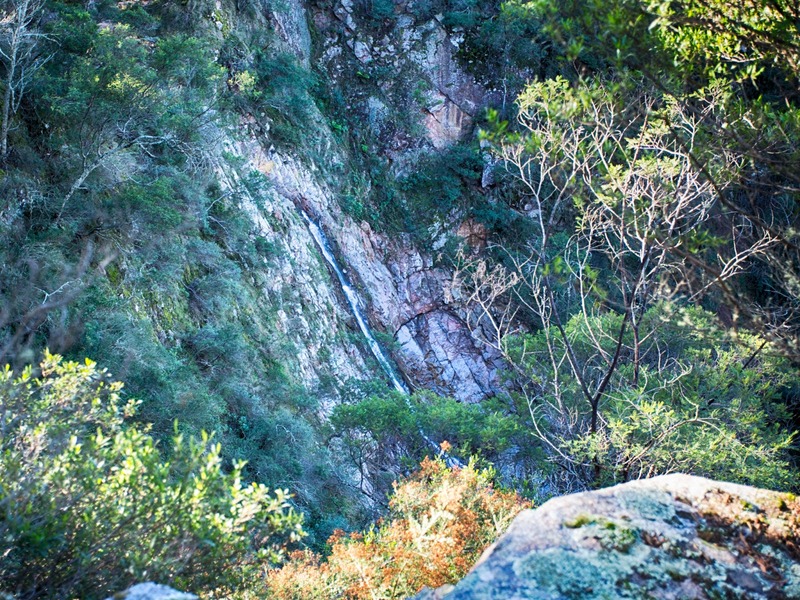 Here there are many inaccessible falls, known only by the sound of water falling through deep gorges. 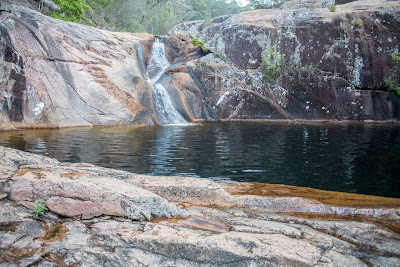 Majors Creek Falls can be found in the Majors Creek State Conservation Area. This area is not signposted and should be approached with a great deal of care. The Majors Creek fall is a short walk from the town of Majors Creek. 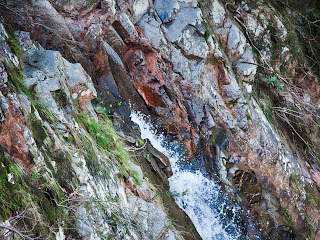 It races down a precipitous drop into the Araluen Valley. In total the creek's falls dance 240 m (790 feet) to the valley floor below. 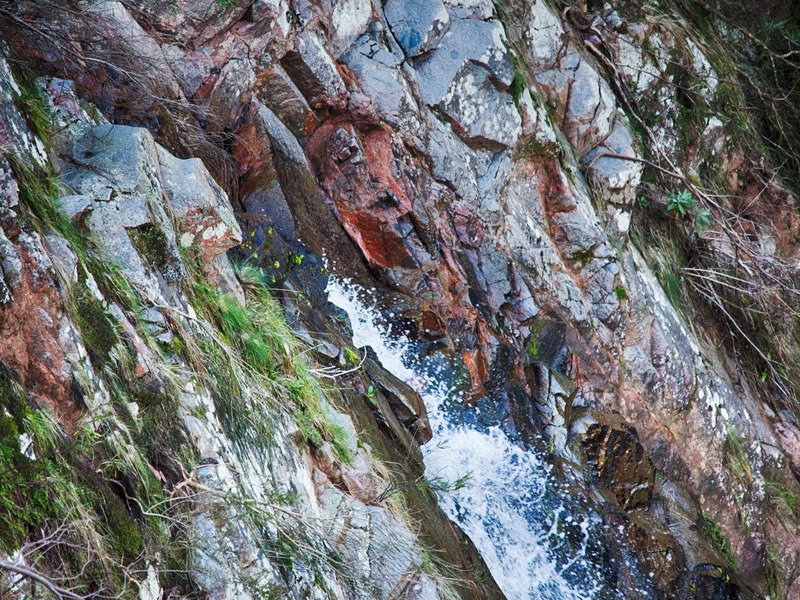 Only 15-20 meters of the main race from a chute fall is visible from adjoining cliff edges. 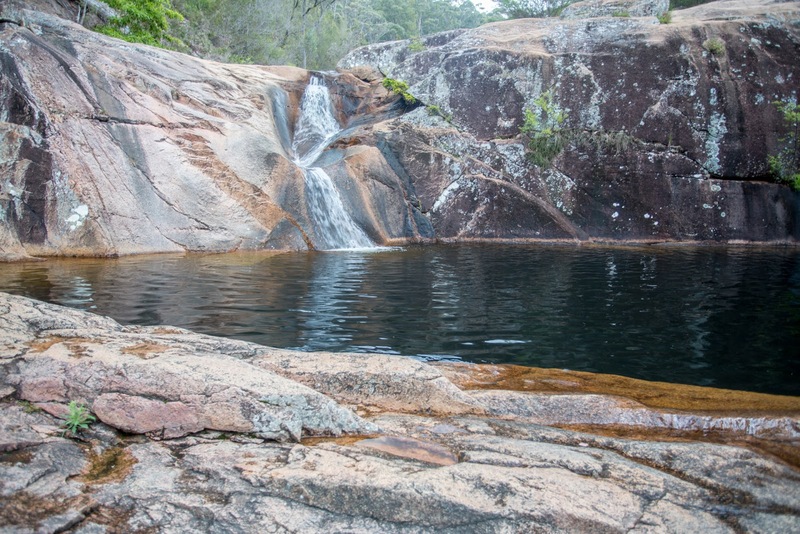 Above the fall are a series of pretty pools and cascades. 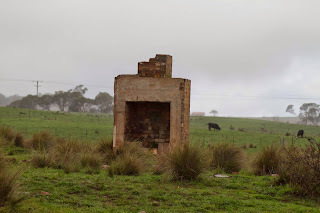 While this fall was once well known (and is still well loved by the locals), the lookout for the fall is in ruins and the area is quietly fading back into the wilderness. Do not come here after rain. 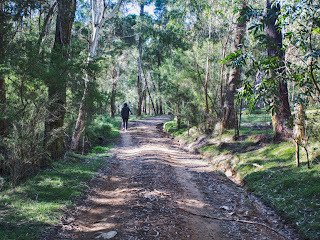 Call in at the Elrington Hotel at Majors Creek for directions to the fall (there are no sign posts). The fall is accessed from Wilson Street, which is not so much a street as a rough track impassable after any rain. 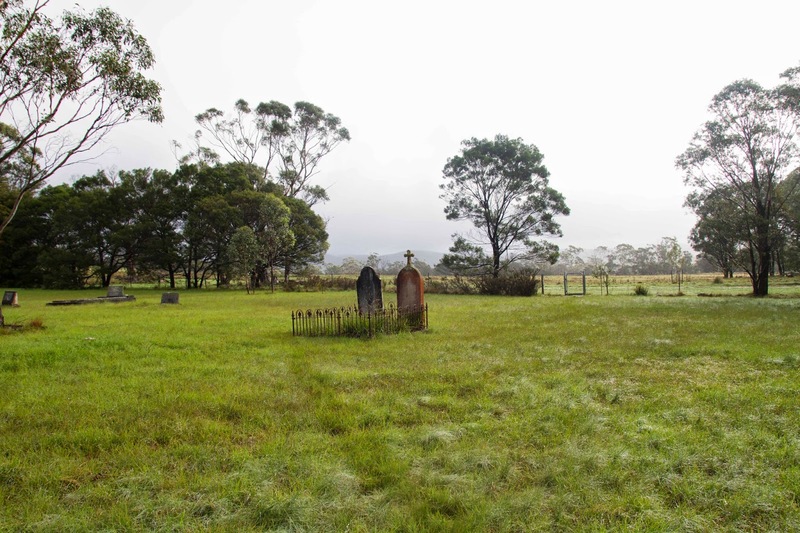 Park your car on the reserve, and walk down the road to Majors Creek. 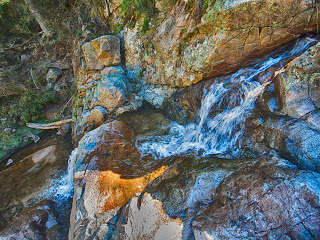 From Majors Creek, walk to the creek (which passes over the road, and then follow it down stream to see the top cascades. Be very careful, the rocks move and are slippery. Do not climb stuff. Do not come into the area if rain threatens, or if the creek is high. 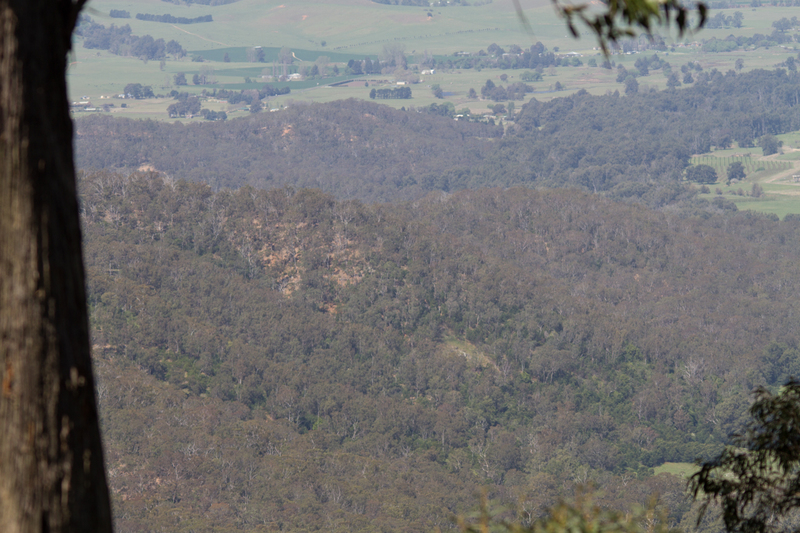 I found good views of the fall on the way back up the track by very carefully following the edge of the escarpment. Do not climb onto any structures you might find here. 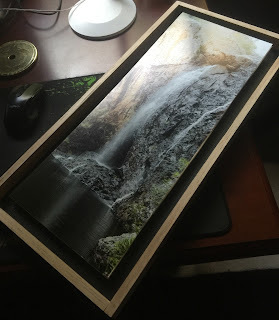 Unlike most other falls, the below map shows the fall because it is not vertical. 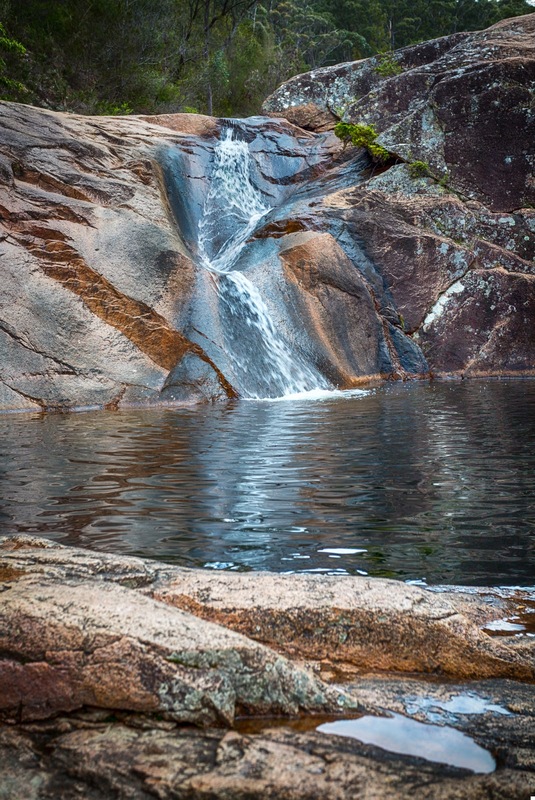 In the soft pink granite of the gorge, a creek cascades through a series of falls and pools. 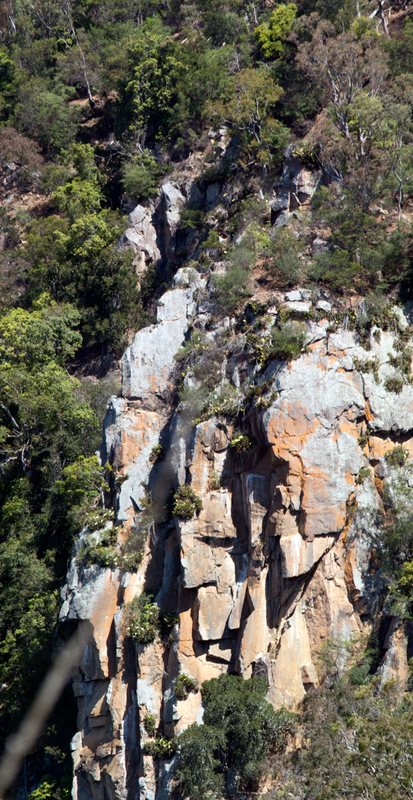 To the left of the top fall is a curious structure, almost as though someone has carved a rising eagle or hawk (Mullin or Munyunga in the Yuin language) into the wall of the fall. 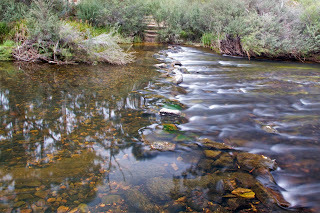 As tempting as the water looked, as a sign of respect to the elders, i resisted the urge to swim here. 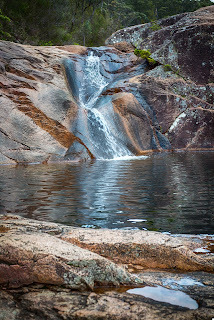 The structure on the side of the waterfall (perhaps an eagle or hawk known to attack humans) brings to mind a Yuin dream-time story from this part of Australia. 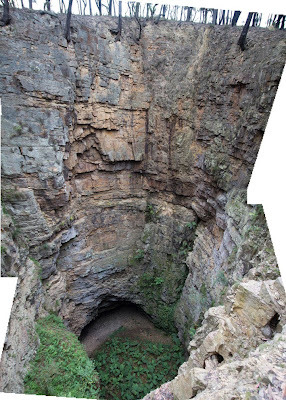 The story tells how a pair of young women were abducted from a waterfall gorge by a giant. They were rescued by a young man who led them away from the giant. 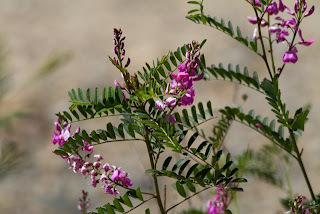 "At last they broke out into clear country and then they rested. The few trees there were laden with birds. 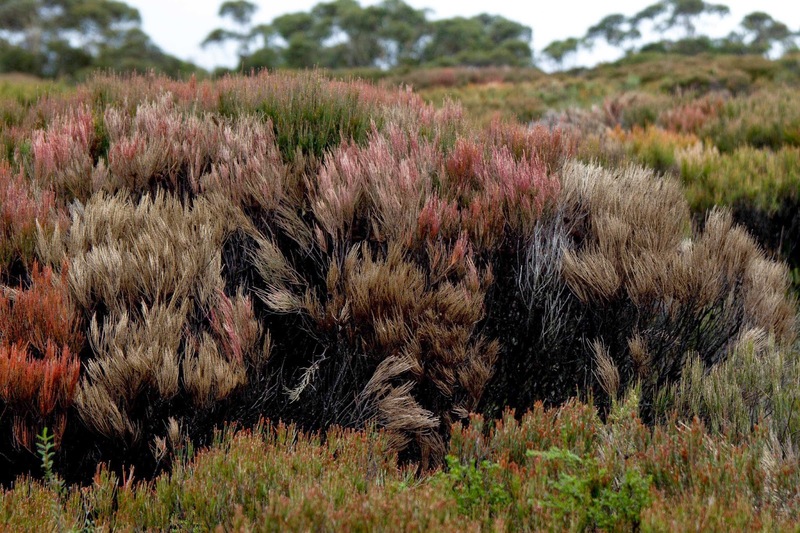 There were probably millions, just as if all the birds of Australia had assembled in this one place to perform the work. The young man was of a bird totem. He was a "karrakal," or magpie, man, and his affinity was the hawk. One there was his pet. I romanticize the stone here as soft - but i can assure you it is as hard as ordinary rock (or perhaps harder if you slip incautiously on its shiny smooth surface). 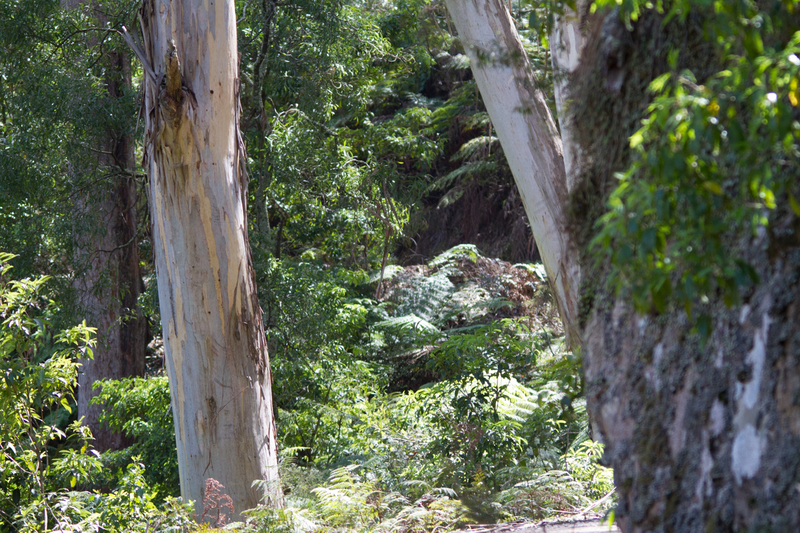 "One day when he was out walking, he came to an open place in the middle of the forest..."
Near the summit of Clyde Mountain, the Buckenbowra Creek starts its plunge down to the sea below. Inland children have named this fall after Pooh Bear. After the war, the military removed explosives kept in an artificial cave near the falls (and which would have destroyed the pass if required). The cave was repurposed as a shrine for the little bear. Parents driving to the coast by the pass distract small children from the cliffs by pointing to the waterfall and cave. 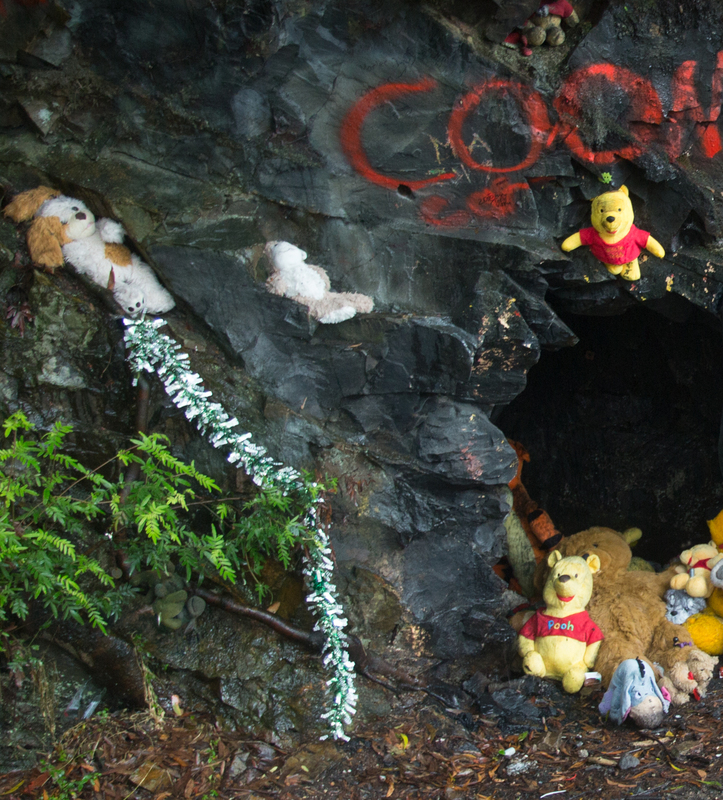 Generations of parents have keep the cave well-stocked with retired stuffed teddy bears for this purpose. The road was once a horror, today it is a little better. The falls plunge 150m from this point to the Corn Trail far below (you can access the creek by following the Misty Mountain Trail), but the fall of bears goes unseen, as there is no vantage from above from which to see it. 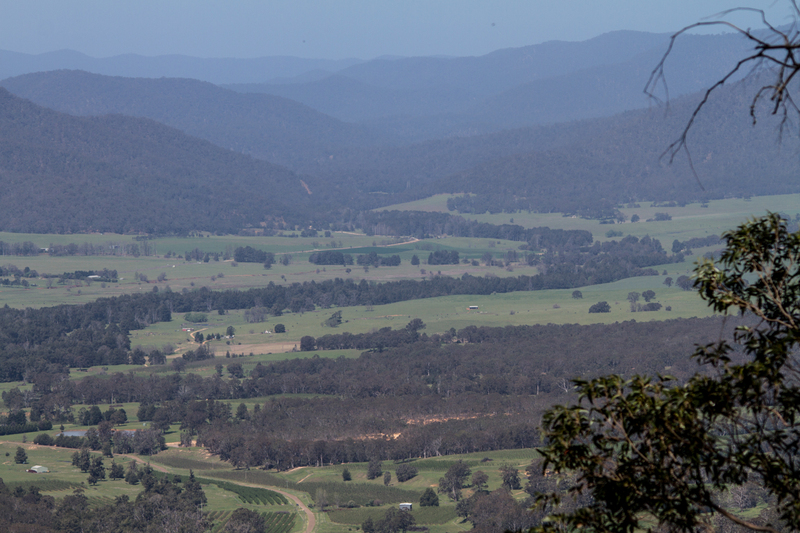 Far below, at the base of the plunge, the Buckenbowra Creek makes its way through the Misty Mountains. 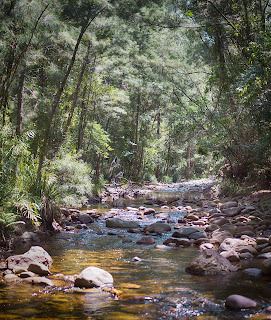 This mountain stream cuts one of the few permanent passes from the coast into the interior of Australia, through the Clyde mountain. 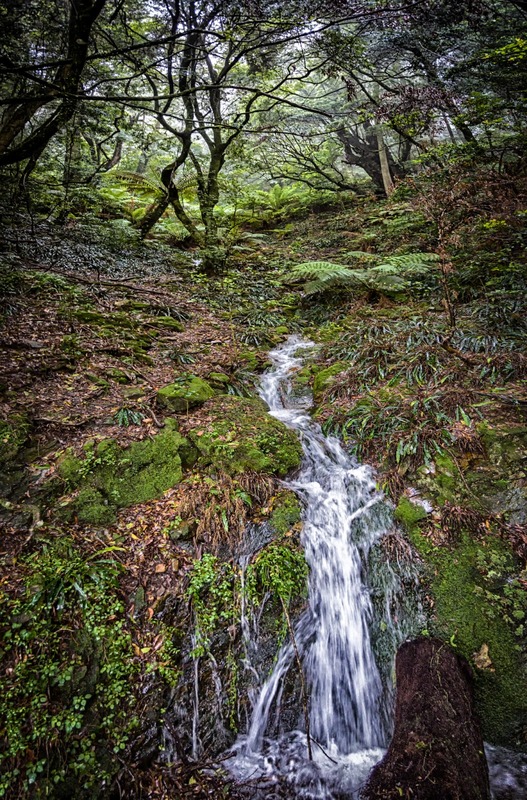 In the wet rainforests at the top of the mountain, this small stream drops 300m in 300m through a series of falls in a deep canyon, ending close to the intersection with an ancient First People trace. 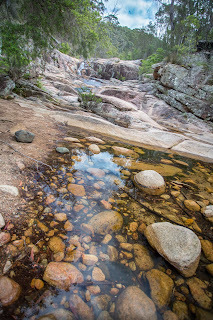 I took this photo a little downstream where the stream settles into sparkling cascades. The water was crystal clear and tasted sweet. 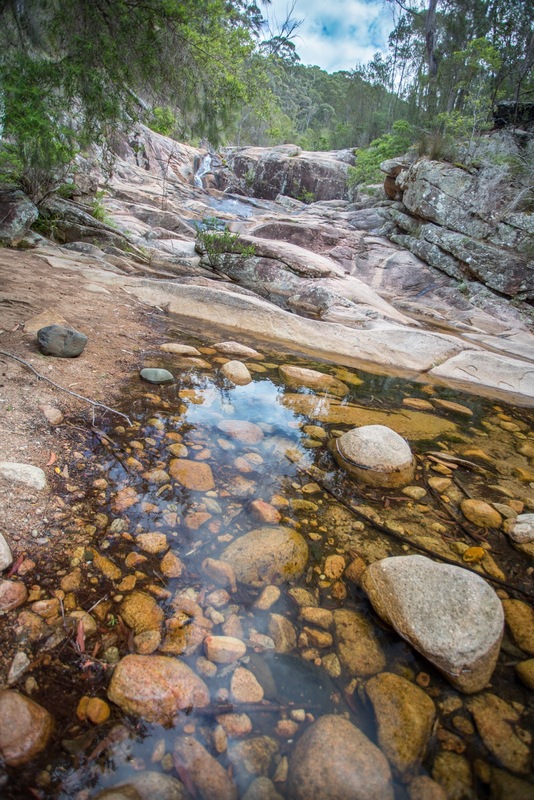 Majors Creek may look fairly flat, but it is poised on the edge of a precipitous fall into the Araluen Valley. 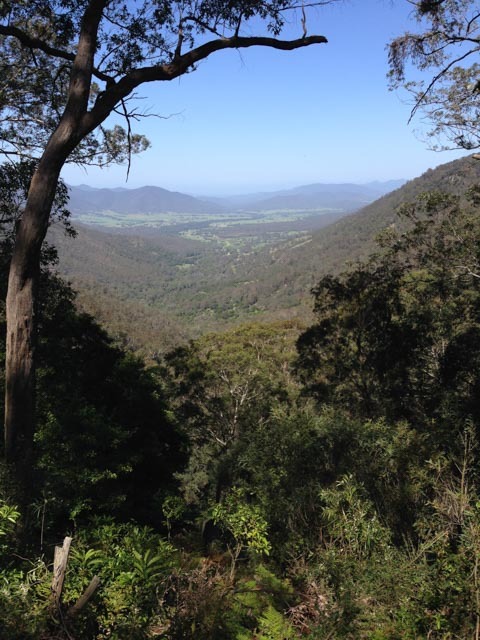 The road from Majors Creek to Araluen via Mount Araluen Is one of the more difficult public vehicular assents in Australia. Restricted to four wheel driving in fine weather, it is one drive many people only do once: precipitous cliffs, a single lane dirt road with a series of switch backs that require 3 point turns. Nevertheless, the views are superb, and the climbing interesting. 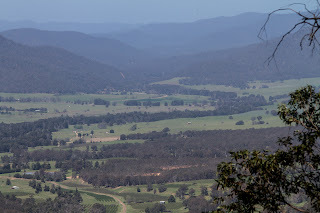 Once the only inland exit from the Araluen Valley, this point of the road saw an unsuccessful attempt by Ben Hall and the Clarke gang to hold up an armed coach bringing gold out of the valley. 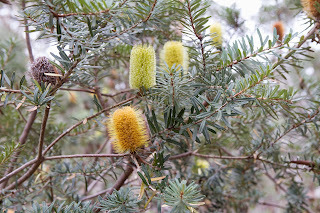 The vegetation at the top of the mountain is lush. 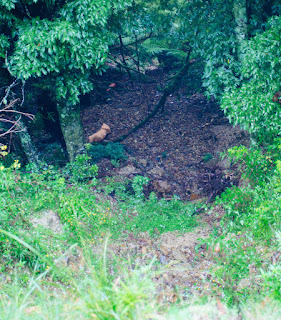 The point chosen by the gang for the ambush has command views of the road below. I have spent a couple of lazy afternoons in the village and, for a little while, Elrington's Pub - researching a story about the Clark Brothers and the Long Tailor. 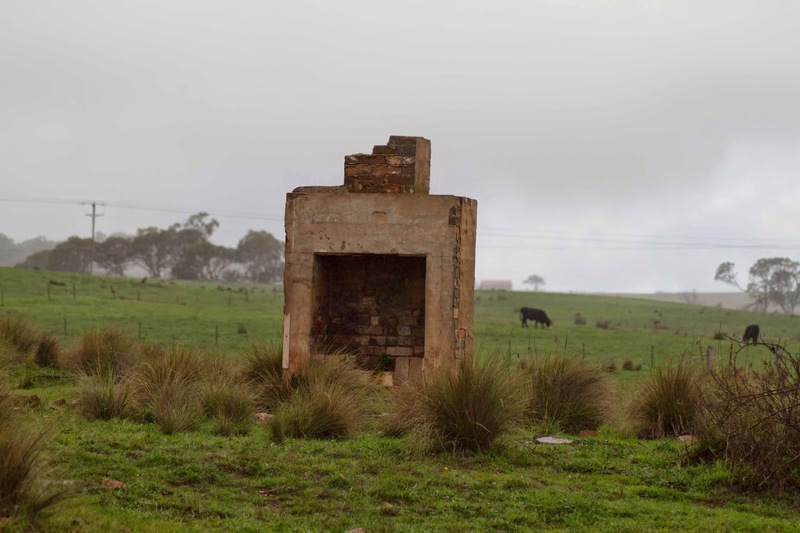 In this place, an old mining town, the usual boundaries between the past and the present flicker. A little way from the town - absolute solitude. The clouds came down to the mountains. I spent a little time talking to the locals about their town. Sounds a sweet place to live, or visit. All around are signs of the rush. The hotel is glorious in its age: patterned tin ceilings, a sign advising that guns need to be left with the bar keep, and a sign advertising the arrival of dancing girls from Sydney, and locals reminiscing about how the internal structure has morphed over time. 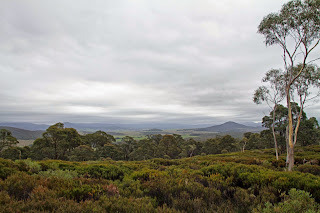 Here is a different compass: Braidwood close to the north, Cooma further away to the South, the fertile Araluen valley close by and the coast just over to the East. 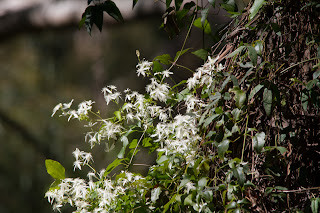 And suddenly to hear those magic names spoken by people who use them everyday: Jinden, Ballalaba, Krawaree, Mourya, Jillamtong, Nithdale and Jerrabat Gully. The accounts of the Clarke Brothers are still real here. The Deua is a vast ancient wilderness area in South East Australia, bordered on the west by the Shoalhaven but draining into the Eurobodalla Basin. 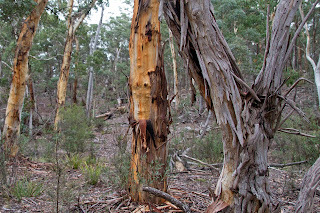 From surrounding escarpments it drops away into deep sunken forests. 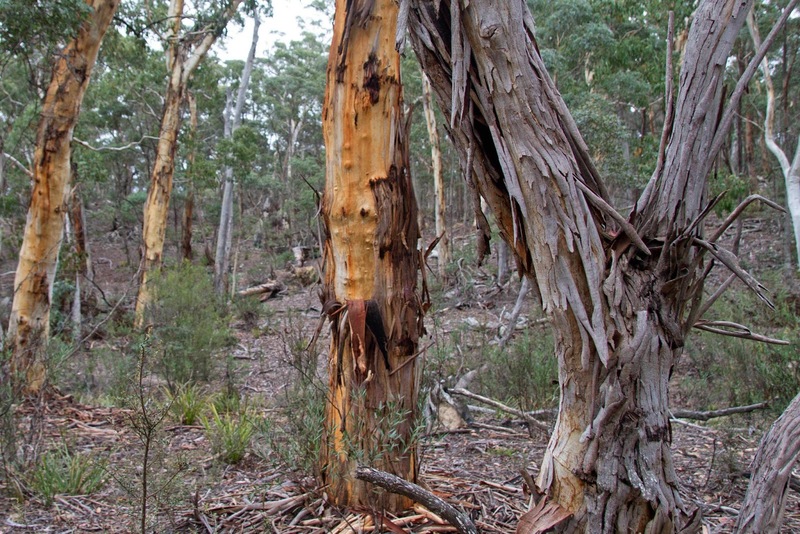 My first contact with the Deua was back in late 2002 fighting a bush-fire along the top of the western escarpment. At night we looked down into burning forests that seemed to stretch to the horizon - watching as fires raced up nearby hills and exploded into the sky. I still have nightmares about the ancient forests burning, even though I understand how fire is an essential part of the way these forests renew. In the North, the park borders the Shoalhaven River below Braidwood. 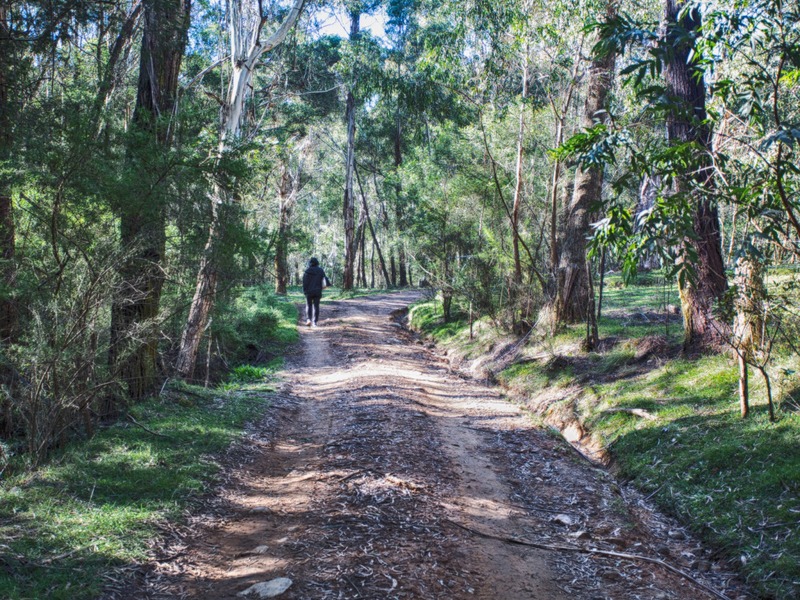 Walking trails take you from a camping ground across the river. The water is usually a safe knee-deep and the footing is firm. 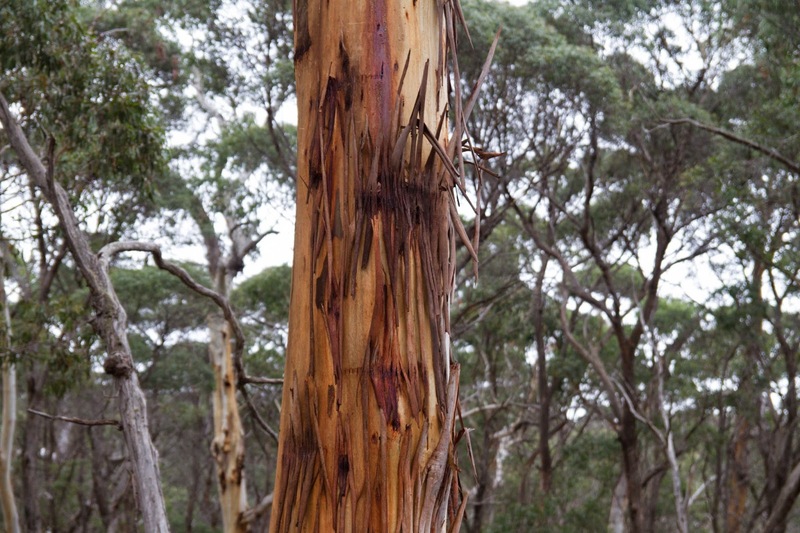 The walks will take you through a series of distinctly different eucalyptus forests. 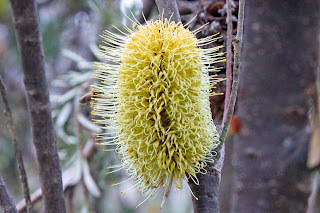 You will see Banksias, Stringybark, Black Ash, Monkey Gum, Messmate and White Ash. 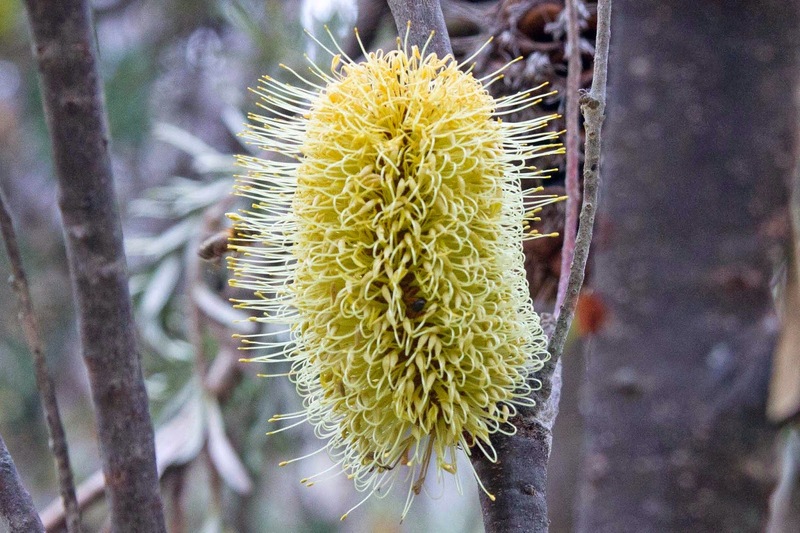 You will also encounter swamp wallabies, kangaroos, rosellas, black cockatoos and fly catchers. Take water and keep hydrated (particularly in Summer). There are plenty of sheltered places to stop and snack along the way - so take a (light) picnic if you are going for the longer walk. 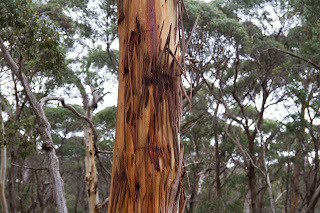 The path starts in eucalyptus forests. 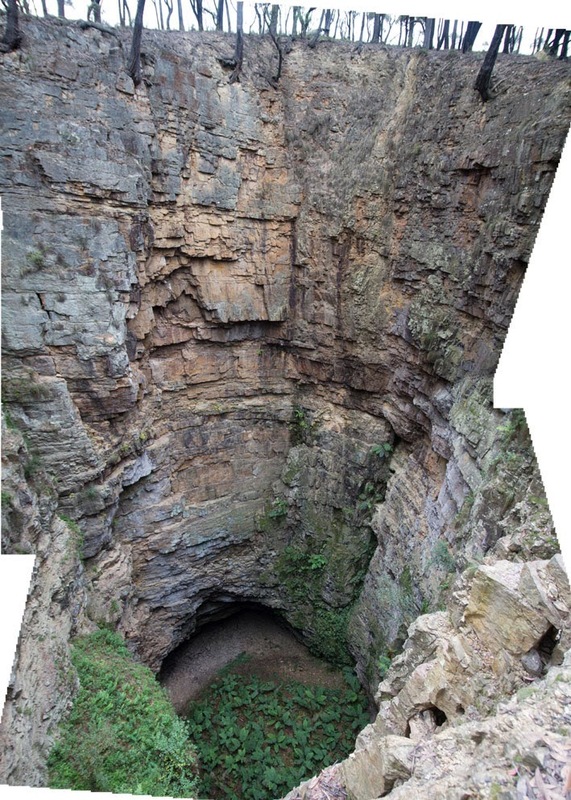 The path from the camping ground to the sink hole is about 1.5kms (with a rise of 100m). At the start of the walk, the track will take you to the Shoalhaven River which you will have to wade through (be prepared to stop at that point if the river is in flood or the crossing is unsafe). 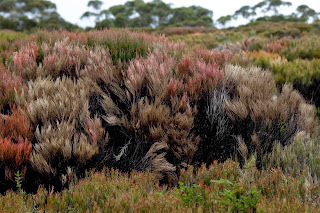 Near the end of the walk, you will emerge from the forests into heath land dominated by dwarf She Oaks - Allocasuarina Nana. From the hole, a walk of a further 4-5 kms will take you to the Marble Arch. Initially the path drops 40m to cross the Bettowynd Fire Trail. 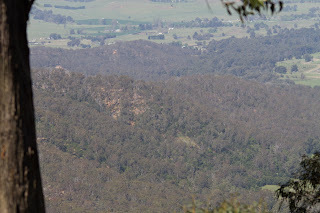 It then slowly climbs through a series of gentle rises and falls to the top of the escarpment over the Reedy Creek. From there, a sharp drop of about 100m (350 steps) takes you to the Marble Arch complex. At this point Reedy Creek cuts its way through a limestone canyon. In the canyon is a cave complex. 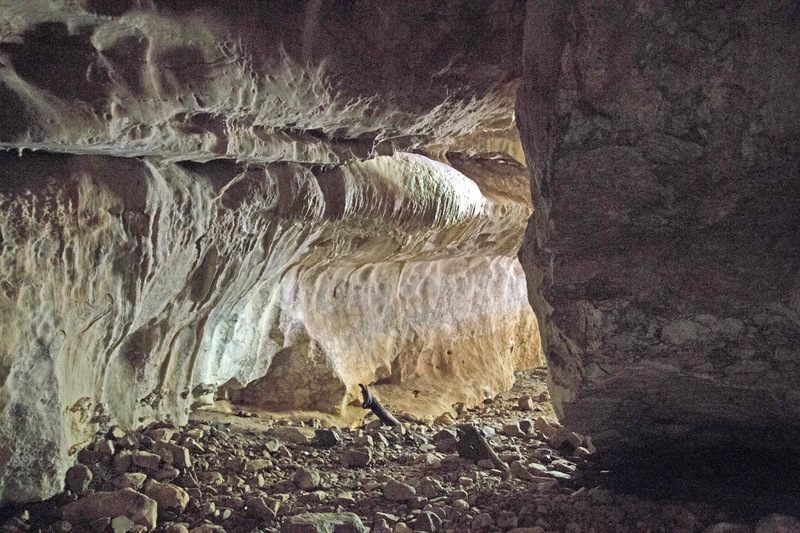 Some of the cave - made of marble - has partly collapsed. 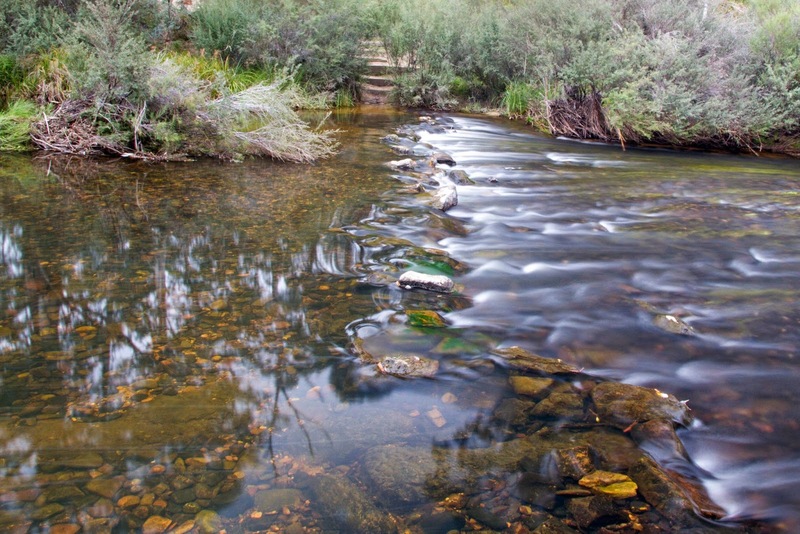 Allow 5-7 hours for a walk from the camping ground to the Big Hole and on to the Marble Arch. The round trip from camping ground to Marble Arch and back is about 13kms. It includes a number of climbs and drops that should be taken carefully. You do not need lights for the cave complex - simply wait in the darker parts of the cave for a couple of minutes for your eyes to adapt. 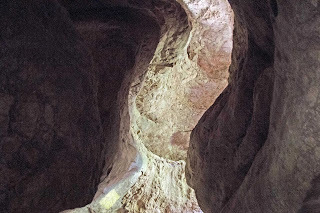 The main cave follows the creek path - over uneven rock strewn ground - with plenty of side and top openings to allow light to penetrate into the the cave. 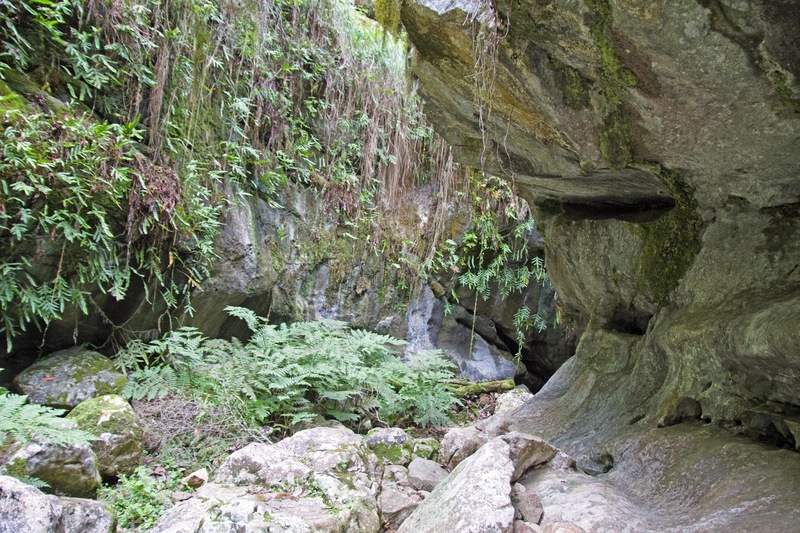 At the far end it opens into a deep fern covered canyon that travels on to a waterfall. Plenty of places to slip or strain an ankle - so take it easy (I had to carry someone with a strained ankle out of such a canyon - an incredibly difficult exercise).